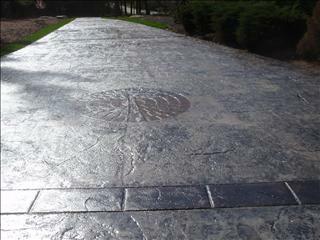 "Restore Your Appeal, Let Us Wash, Treat And Seal!" 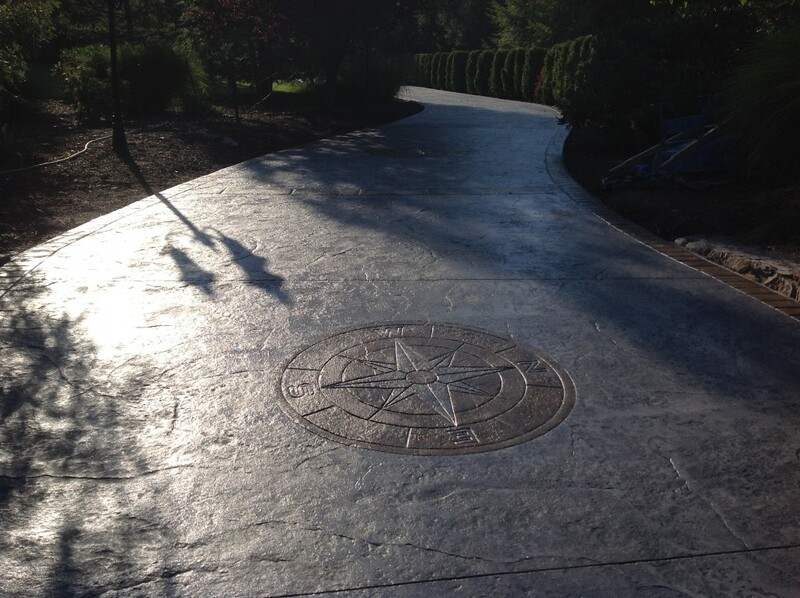 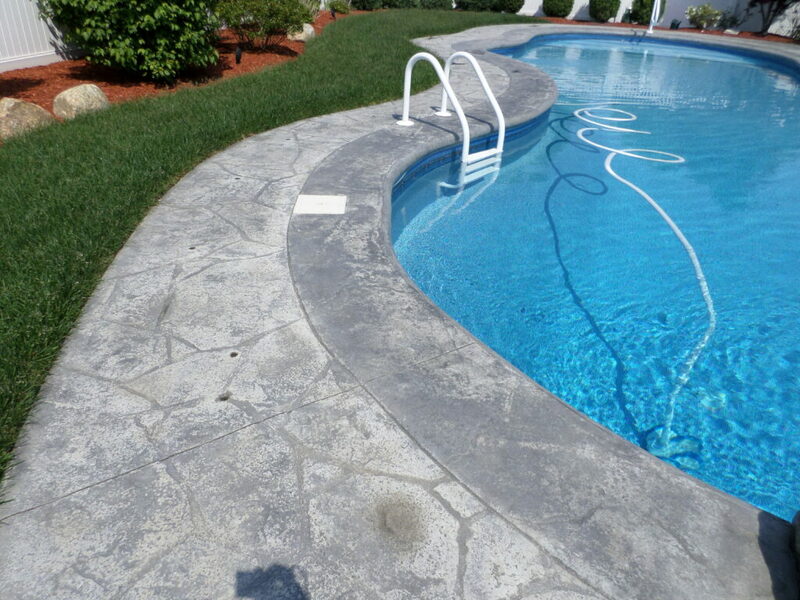 We offer the innovative decorative, stamped and conventional concrete sealing products, that keep pool decking systems for pool decks-patio decks and spa deck maintenance simpler, more enjoyable, while enhancing your pool and patio decks surface appeal and longevity, more than ever before. 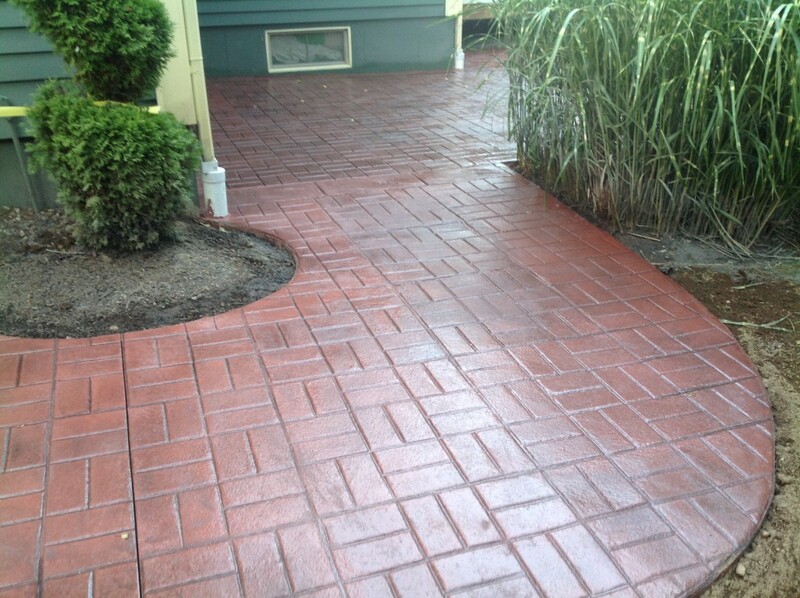 See our customer testimonials.. 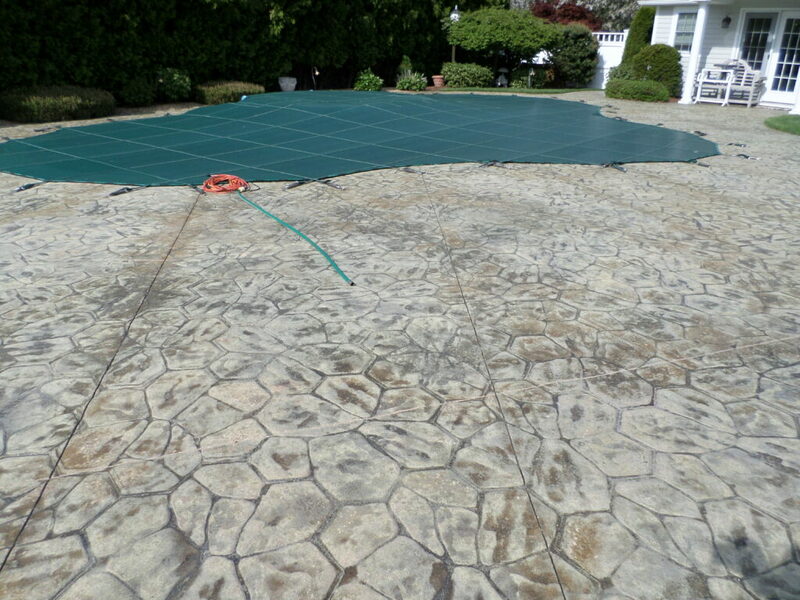 When it comes to your free time, there are more important things to do than cleaning your stamped, decorative or conventional concrete swimming pool decking, concrete pool patio deck, concrete driveway and walkways or sidewalks. 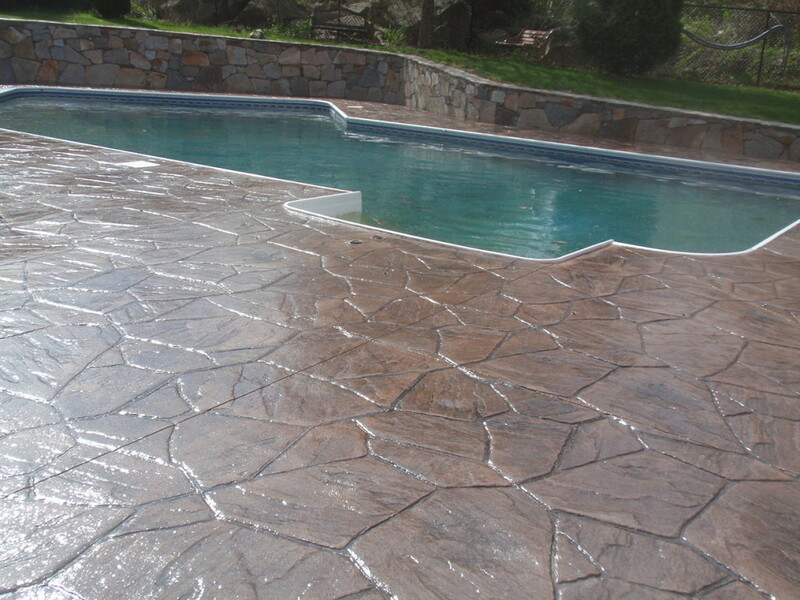 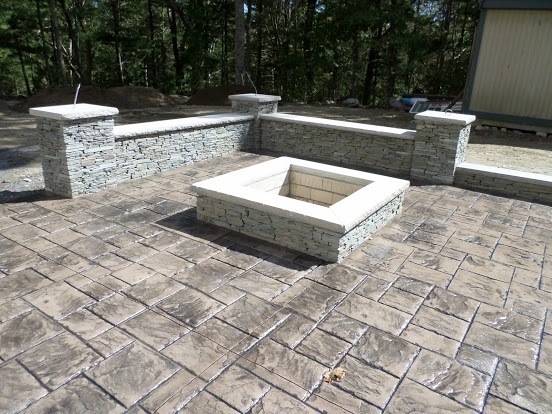 With our stamped concrete, exposed aggregate concrete pool decking cleaning and quality sealing protection system, your pool patio decking, can look great 100% of the time. 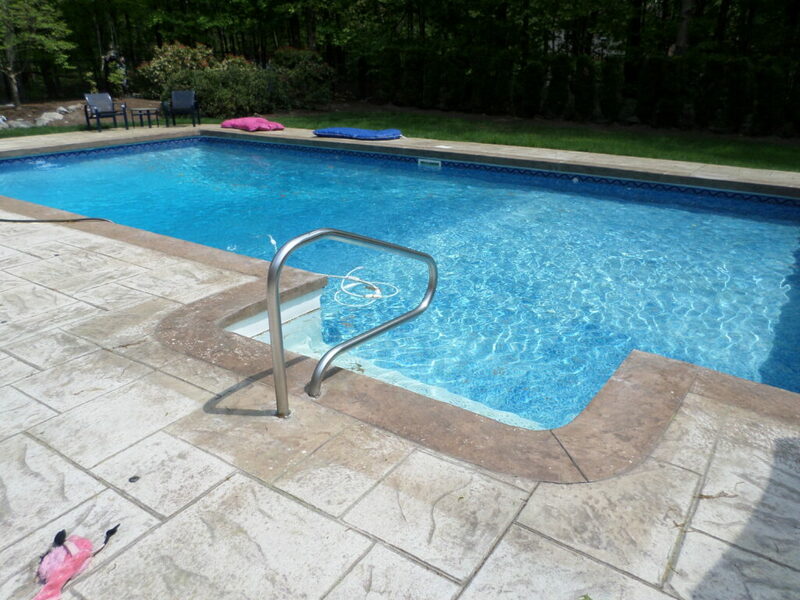 After cleaning and/or treating and sealing your pool decking, it will make it easier for you to maintain, it clean appearance, throughout the many years of summer, yet to come. 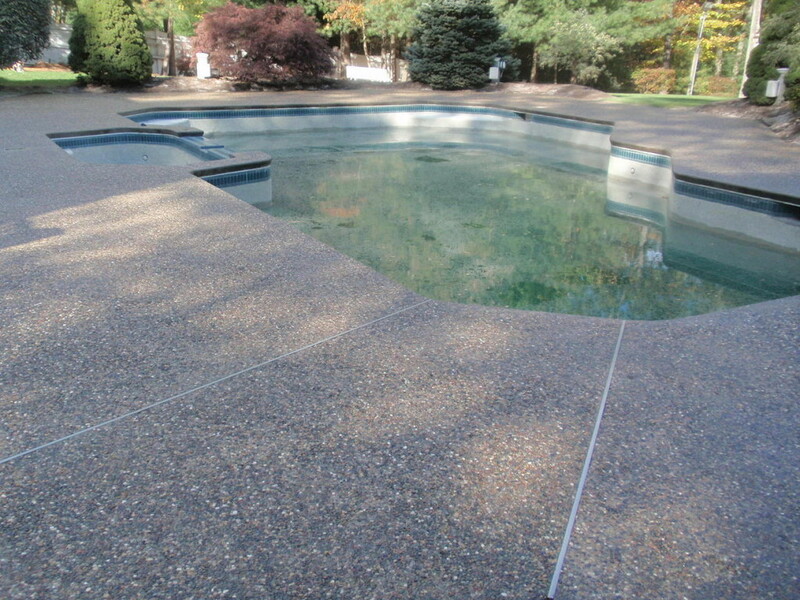 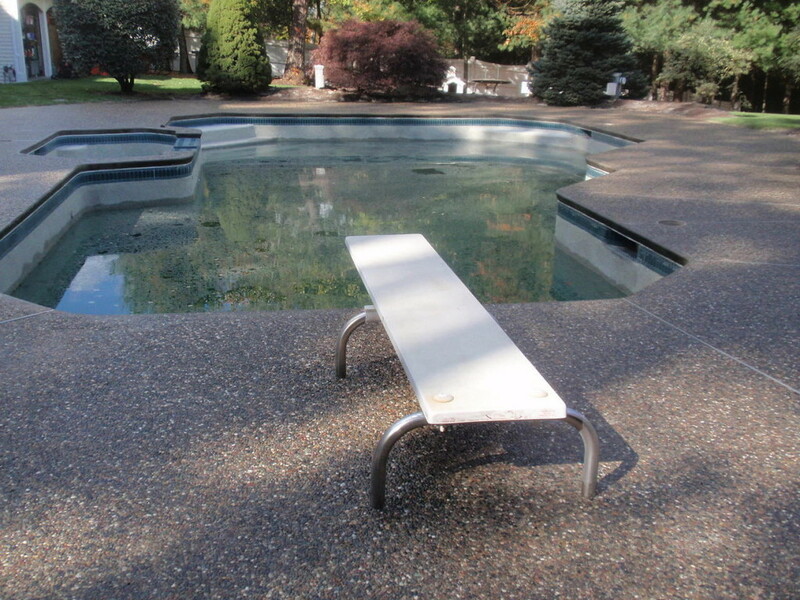 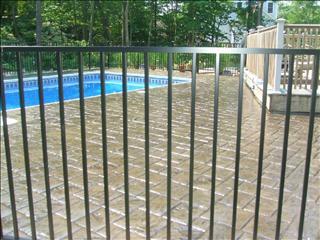 We can clean the entire pool deck area, including fixed concrete pads, steps, and concrete benches. 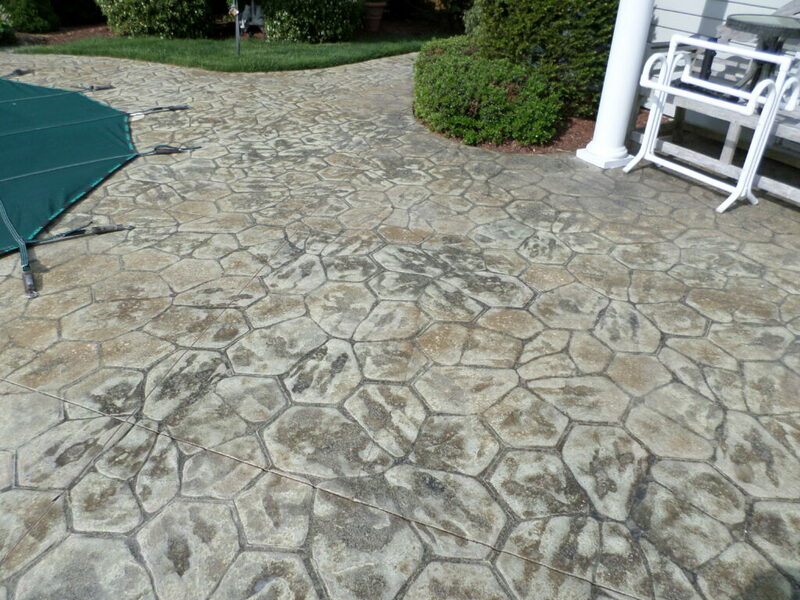 Proper Cleaning System for concrete pool patio decks, concrete driveways and walkways-sidewalks. 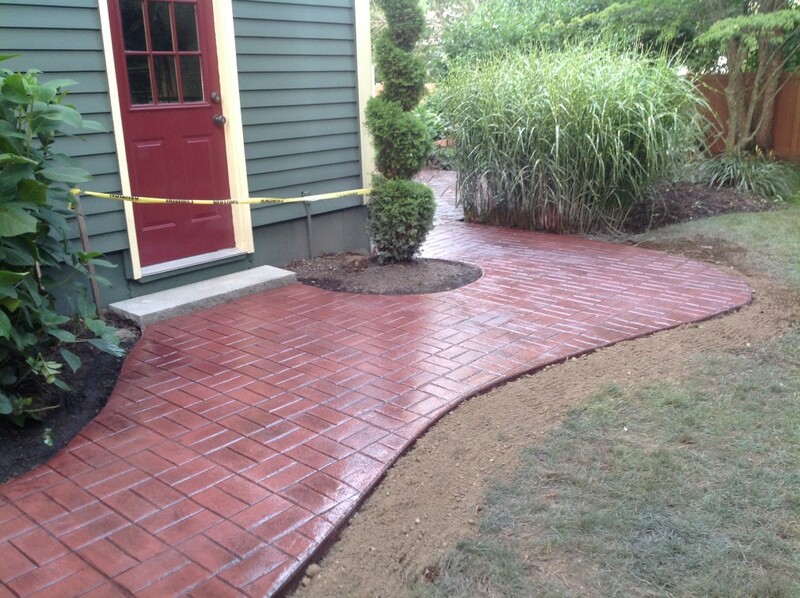 We really care about our customers being satisfied. 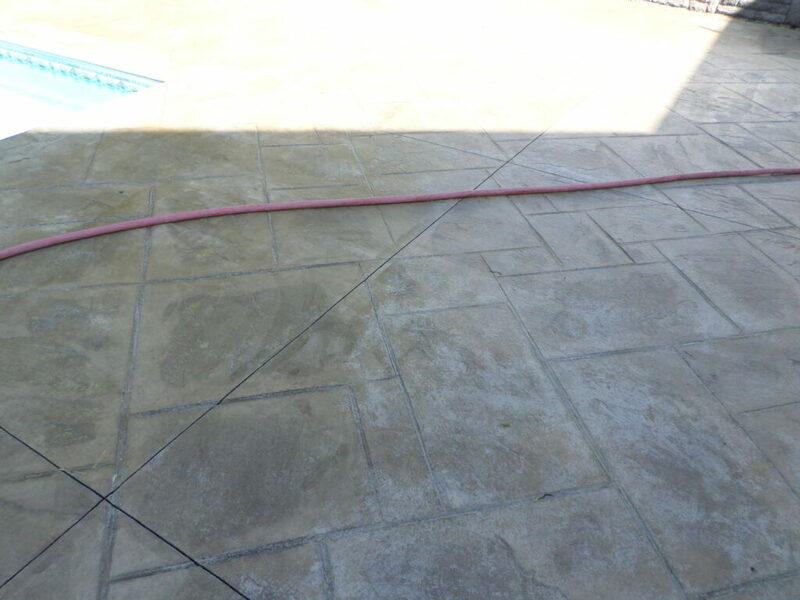 Below are some of the swimming pool decks that we have cleaned and sealed. 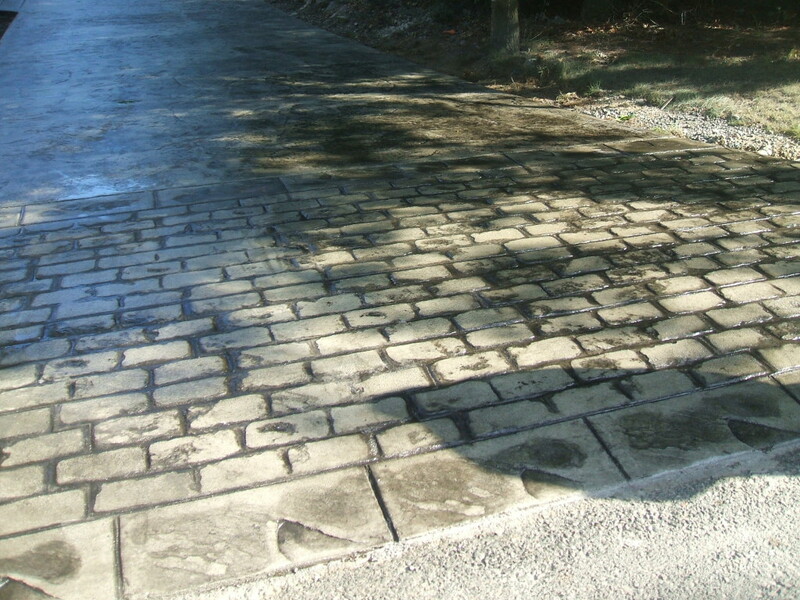 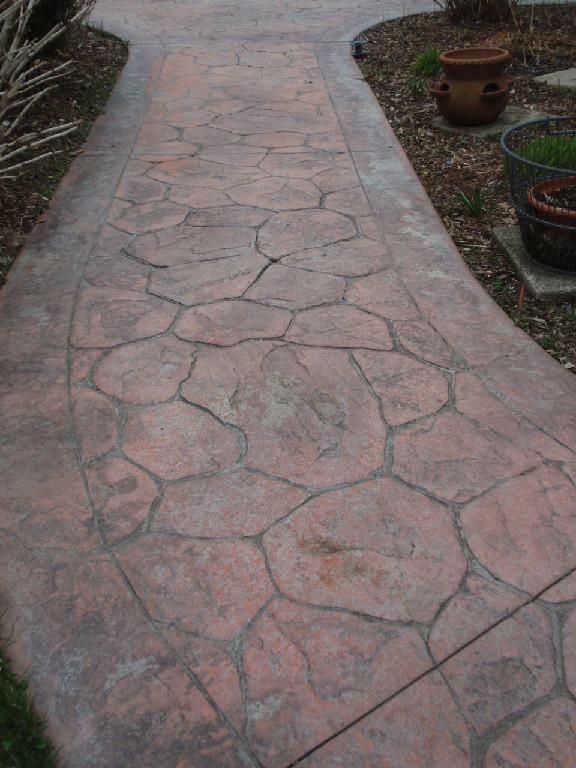 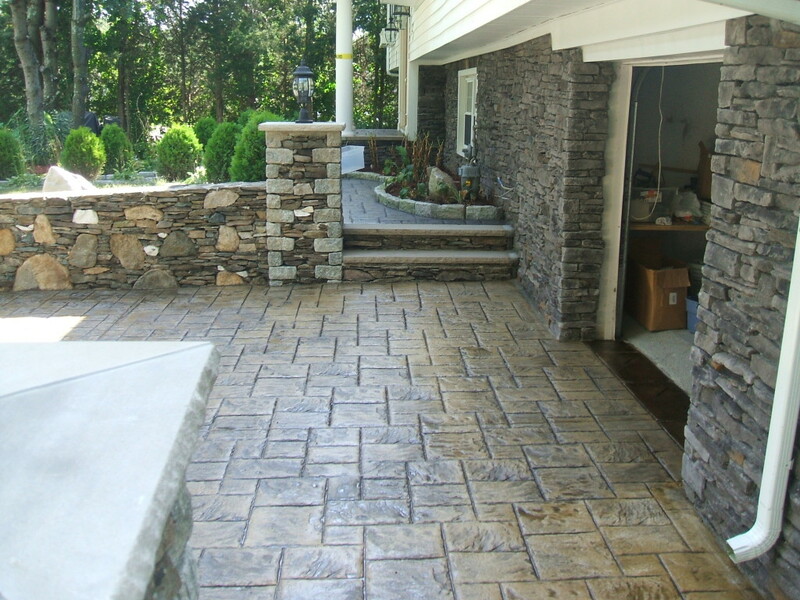 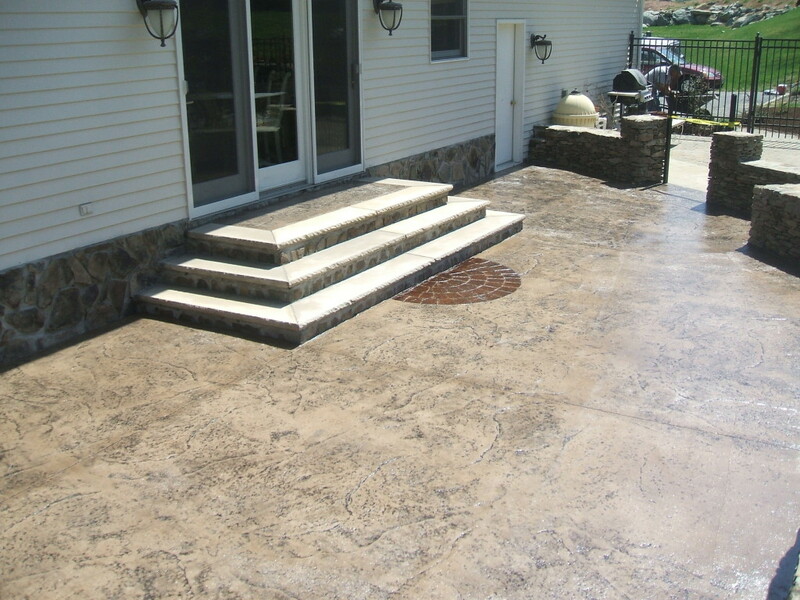 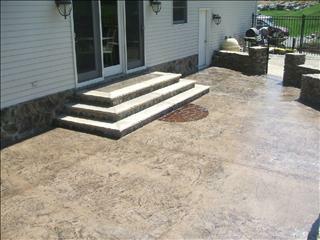 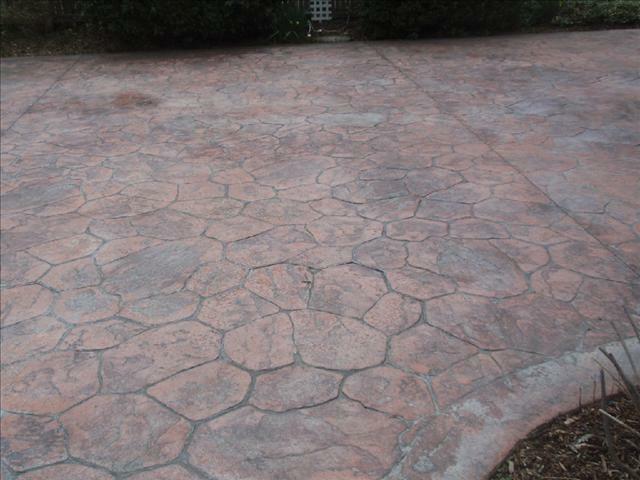 Both stamped-decorative and conventional concrete. 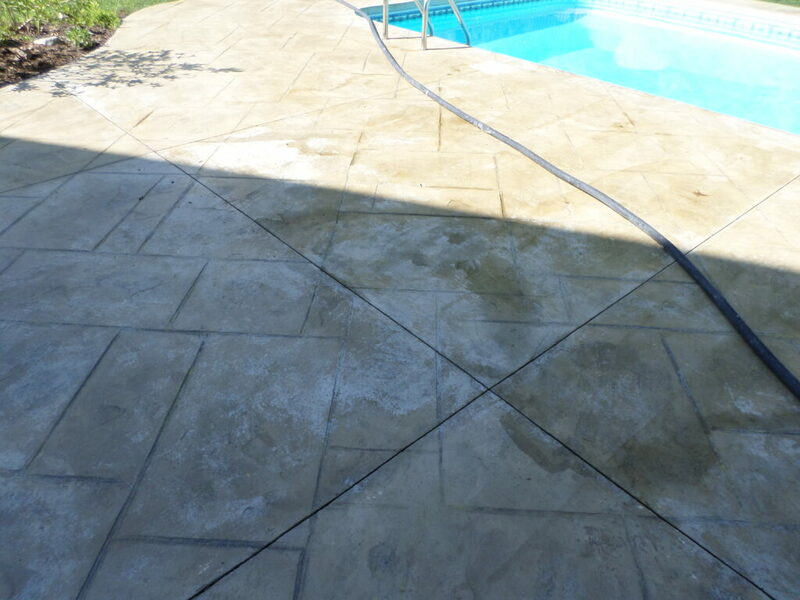 Please note that we can clean concrete pool decks and stamped concrete pool decks. 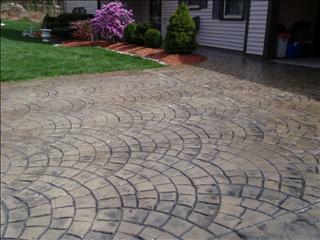 This also applies to patios, driveways and sidewalks_walkways. 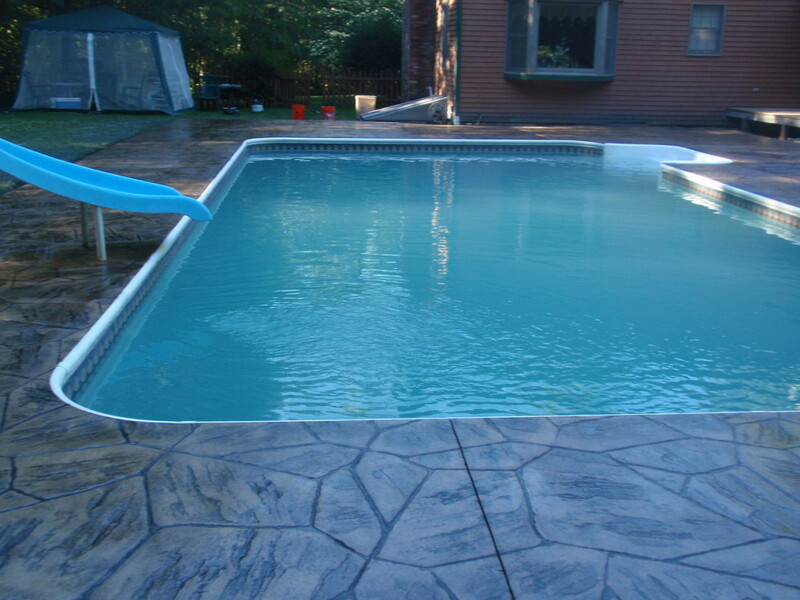 Call and schedule now before we get booked up for the summer! 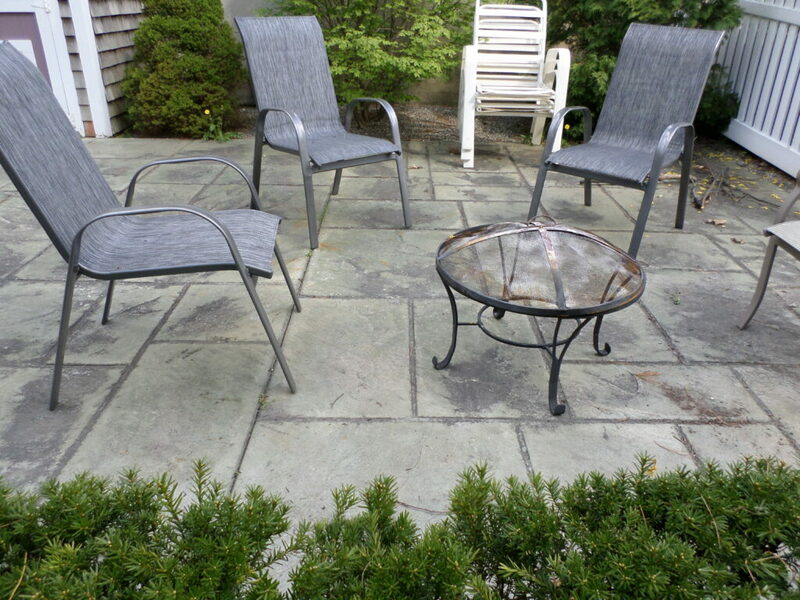 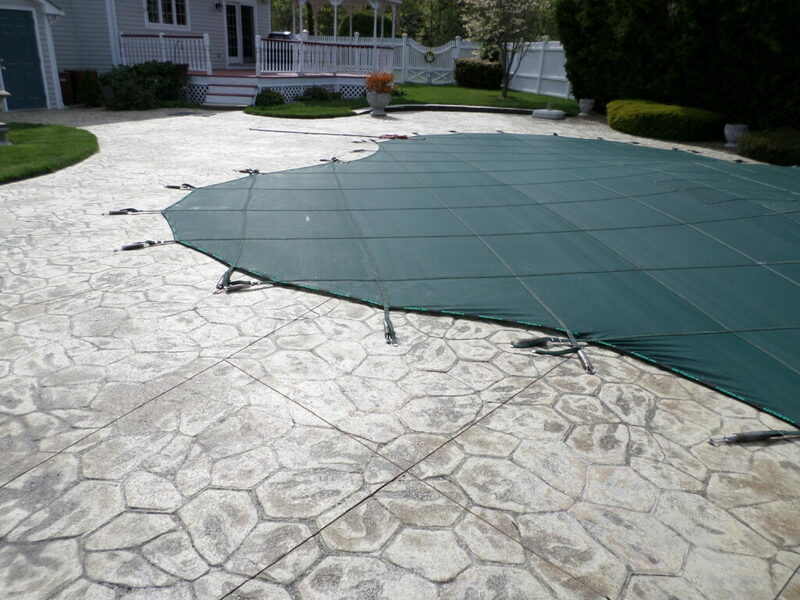 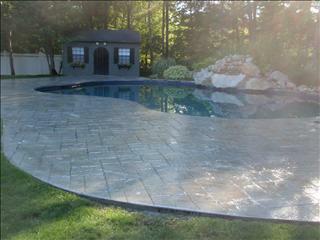 At Bristol County Sealing Company, breakthroughs in new cleaning techniques and sealing technologies, improve the concrete pool deck, patio and walkway service life, in most cases, depending on the present concrete surface condition. 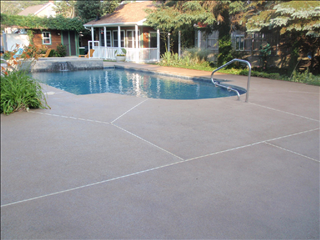 Most common options are the cleaning and sealing, and a color acrylic sealer for older concrete pool decks. 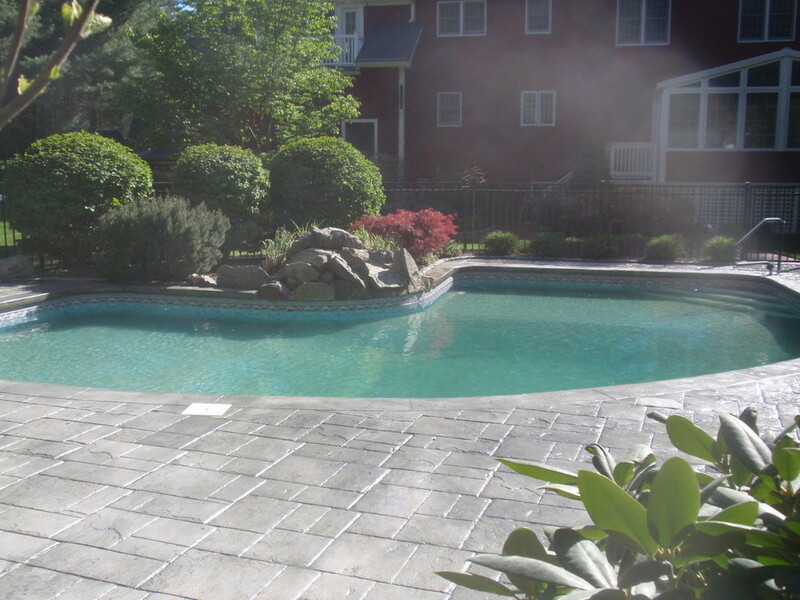 We utilize only top quality swimming pool deck cleaning and sealing products, ensuring our customers complete satisfaction.